Regardless if you have been granted child custody or not, the state of California very specifically states that both parents have a legal right to support the raising of a child. This holds true even for parents that do not see a child on a regular basis or parents who have no contact with their children but have been deemed as the biological parent on a birth certificate. If you are a parent looking to receive child support from an ex-spouse, or a spouse who owes backed child support, you may be facing a lot of legal issues. Even children born out of wed-lock are still eligible to receive support from both biological parents. There are a few factors that can determine how much a person is liable to pay towards a custodial parent for child support. A judge will factor in your income, divorce proceedings and what living conditions had existed during the time of marriage (if the parent in question were a previous spouse of the custodial parent). Payments may vary depending on the number of children they are supporting as well. California child support orders must ensure that the children receive fair, timely and sufficient support reflecting California’s high standard of living costs. At The Law Offices of Gary J. Beeler, Esq., we will do everything we can to fight for your best interests and future, while also keeping at the forefront, your children’s needs and livelihood. If you work with us, our firm commits to treating you as an individual and as a parent, not simply as a client. 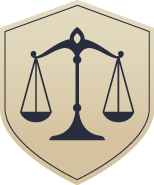 We will offer you our compassion, understanding and care as well as our passionate legal representation. Are you seeking support? Do you owe backed support? No matter what legal issue you are facing concerning child support, it is always a good decision to secure hard-hitting legal representation on your side immediately. Child support can be a complex area of law, and if you fail to secure the aggressive legal services that you need, you could end up paying more than is fair or could be left hurting financially when your ex-spouse fails to pay his/her share. If you are seeking child support or owe backed child support, you need to contact Attorney Gary J. Beeler. I am a father of four children myself and could never imagine losing contact with my children. You may lose contact with your children if you do not pay child support and you could be facing a slew of legal issues. I can help you determine what penalties you may be facing for backed payments or help you build a strong case to receive the payments that are due to you and your child. The laws pertaining to child support in California are strict and can be difficult to navigate; if you are having any troubles with child support you should contact me today.